I love a bit of retail therapy, and one of my favorite parts of the experience is being greeted by a knowledgeable salesperson who can help me pick out items that will suit me and help me find what I’m looking for. 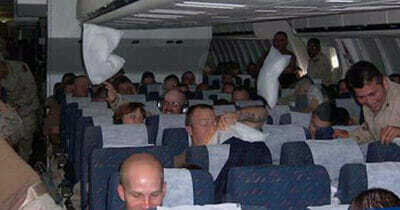 However, it seems that basic courtesy isn’t extended to all customers equally. 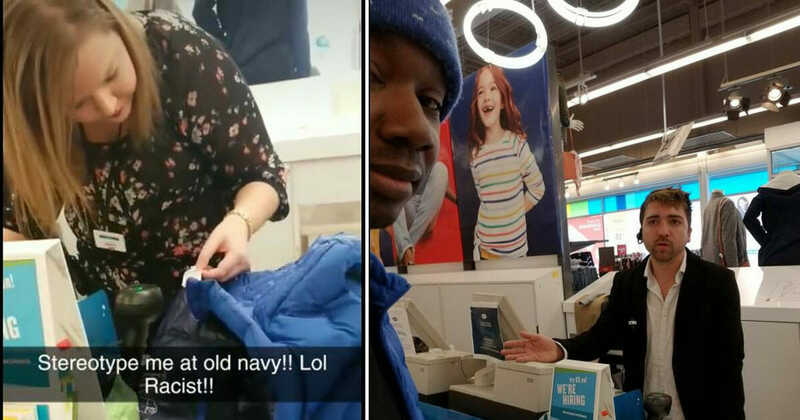 29 year old James Conley III recently stepped into one of his favorite clothes stores, Old Navy, in West Des Moines, Iowa. 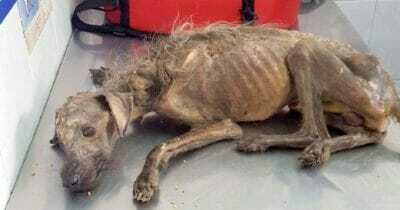 He was wearing a blue jacket from the store that he’d received as a Christmas gift. James was then subjected to an embarrassing ritual of having his own jacket scanned to ensure that he wasn’t a shoplifter. He even recorded video showing that he was treated badly by three different employees of the store. 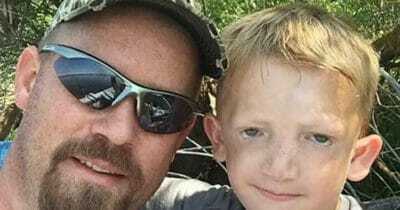 Read on to see what James wrote about the incident. 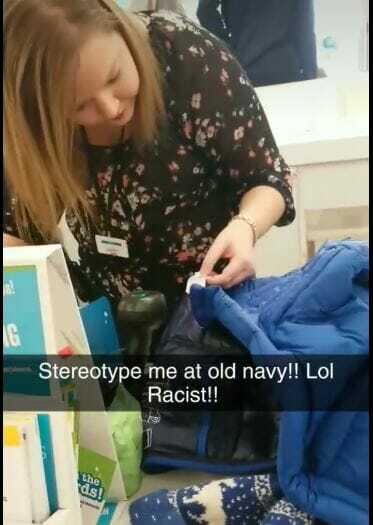 “Today I was racially profiled by the Old Navy store in West Des Moines, Iowa in Jordan creek. I was accused that I didn’t pay for my blue bubble jacket that I got for Christmas that I wore into the store. As I was checking out to purchase some hoodies, I was asked if I wanted to also purchase the jacket that I was wearing. 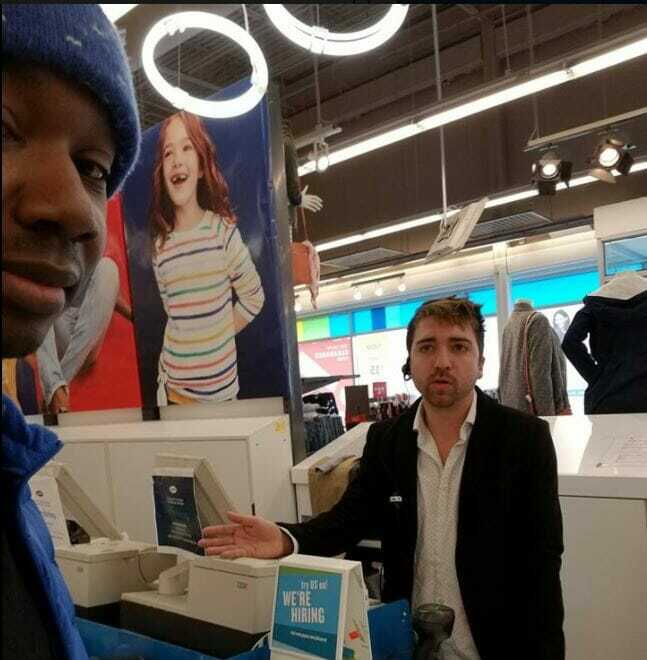 Every time I go to this store I have on my same exact winter blue jacket and have never been asked to scan my clothing and the previous “non-black” customers had on identical apparel as me from old navy but was never asked to scan their clothing. Then after they scan my jacket they try to make me repay for it?? Finally the District Manager Shannon (who refused to give out her last name) came out and I made her check the surveillance tape to prove that her and her fellow employees were in the wrong for racially profiling me because of the color of my skin. Once she confirmed that I was telling the truth (after watching the tape) she never came back out to apologize to me nor did the store manager Beau Carter as you can see in my videos below. 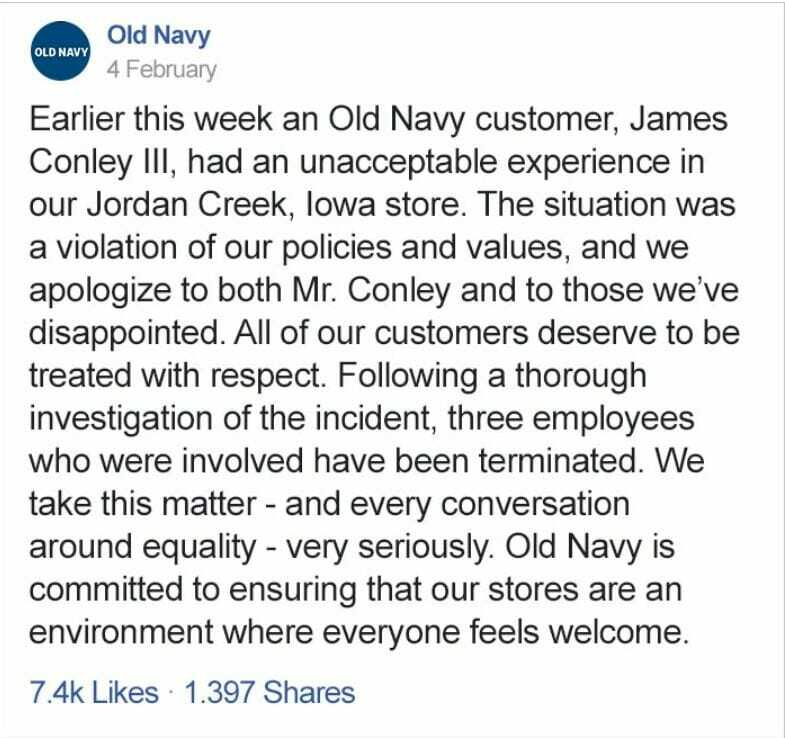 After James’ post was shared more than 150 000 times, Old Navy releaesd a statement appologising to James and stating that they’d fired three of the employees involved in the incident. What do you think about James’ videos? Do you think the store’s employees stereotyped him? Let us know your thoughts in the comments below, and don’t forget to share this story with your friends on Facebook so they can weigh in, too.